If you're reading Book Swap—and you are—my bet is on your New Year's resolution being to read more books. So in the first edition of Book Swap in 2019, I thought I'd share a glimpse of Nick Drnaso's TBR pile and some of my own selections. Drnaso's graphic novel Sabrina took the literary world by storm last year—and for good reason. It's a slowly built and awkwardly constructed narrative that only coheres as a transcendent story about human fragility in this contemporary moment of duress long after readers grow comfortable with his flat-colored forms and opaque backstories. The book is gutting and brilliant—enough so that you not only want to read everything the author has ever written (and you won't go wrong with Drnaso's 2016 Beverly, which won the LA Times Book Award for Best Graphic Novel), but you want to read what he reads, too. ND: I have a never-ending stack of books on my "to read" pile, which is a constant reminder of all the things that are passing me by. I've chosen three from that stack that I'm particularly excited about, though they're not all new or even recent releases, so this isn't as much a "looking forward to" as a "looking back at" list. Every Christmas my brother and I try to recommend presents to each other so we're not passing the same gift cards back and forth. This year I asked him to buy me The Dinosaur Man by Susan Baur. I can't remember where I first heard about this book, but it's been on my wish list for a few years. Baur recounts her time working as a psychologist with schizophrenic patients, where she developed a method of immersing herself in the delusional mind as a way to uncover and understand the internal logic. In a similar vein, I'm also very much looking forward to digging into Behave: The Biology of Humans at Our Best and Worst by Robert Sapolsky. My wife and I have been listening to his lectures that are available online, particularly on schizophrenia, religion, and depression. Admittedly, I told my brother to buy the book for her for Christmas as well, though I might greedily read it before she gets a chance to. 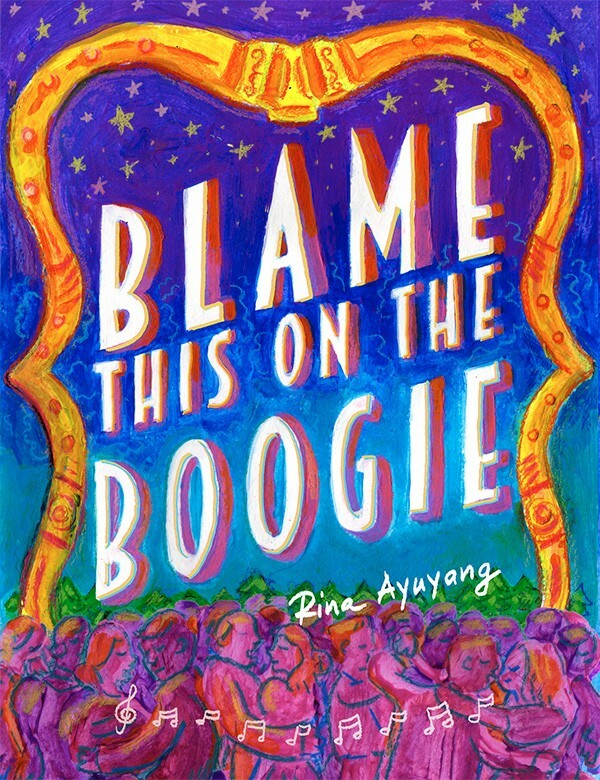 Because I might need something warmer after those books, I'll follow them with Blame This on the Boogie by Rina Ayuyang, which I've been eager to read since the summer but keep losing in the pile. It's a graphic novel, rendered in energetic and lovely colored pencil (I think). All I know is that it's about dance, music, and motherhood, so it promises to be a worthwhile and life-affirming read. AEM: Blame This on the Boogie's on my pile, too. Ayuyang's gorgeous color work is so enticing! But first up is some gore, because winter. There's no better way to commemorate the centennial anniversary of socialist feminist Rosa Luxemburg's untimely demise on January 15 than by curling up with a fresh copy of Klaus Geitinger's The Murder of Rosa Luxemburg from Verso. When she and fellow Marxist revolutionary Karl Liebknecht were killed late one night in front of a posh hotel, and her body dumped into the Landwehr Canal in Berlin, it marked a turning point in the German political climate that, unfortunately, still holds a bit too much resonance today. Former Chicagoan Aleksandar Hemon will release My Parents / This Does Not Belong to You through MCD, a Farrar, Strauss, and Giroux imprint, in the spring. Pairing the narrative of his parents' immigration from Bosnia to Canada with his extremely personal tales will certainly offer a fantastic frame for his incisive revelations and stunning eye for detail. The current book obsessions of Reader culture editor Aimee Levitt and essayist and Women & Children First co-owner Sarah Hollenbeck. Monkey Wrench host Arish Singh and collaborator Basim Usmani on political comedy, Trump, and why you can't trust white liberals.